The total in the building fund for the new Scout HQ at the end of 2018 was a fantastic £70,000, towards our target! 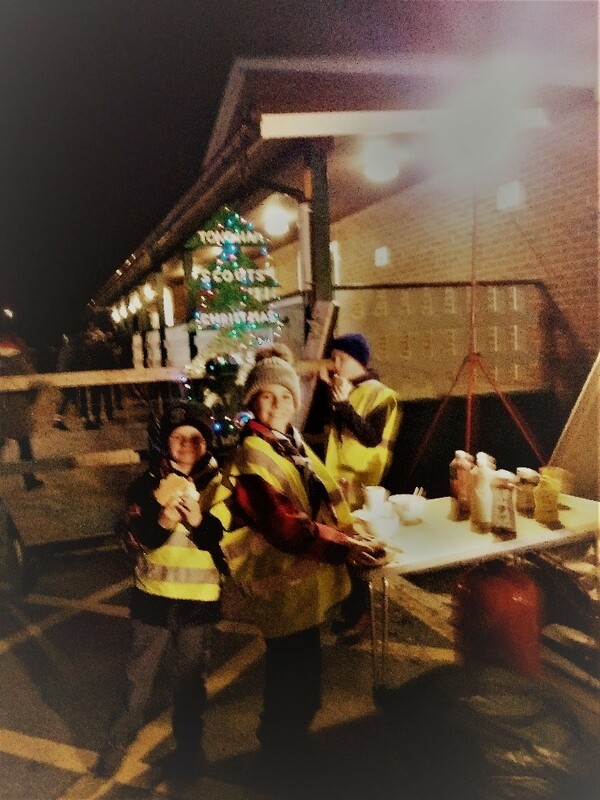 Well done everyone who has flipped burgers, car parked in the rain, sang carols outside Tesco’s and rattled a collection bucket, all your hard work and generosity is making the new HQ an achievable goal. During October to December due to these fantastic events we raised a whopping – £6,669! For 2019, we are planning to hold at least one fund raising activity a month and we would like everyone to get involved in what ever way they can. It could be a donation of a raffle prize, putting up a poster, selling tickets to your work colleagues or helping car park at a community event. April (5th April 7:30 – 10:30pm) – Dolomites Band Night SOLD OUT! More details on each of these are below. We also have the following community events where we get a donation if we help with the running of the event. This could be car parking, ticket sales, litter picking and marshalling. Volunteers needed! Also, please don’t forget the following initiatives which contribute towards the fund. More details are on the New Scout HQ page. 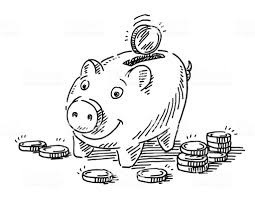 Each Section (Beavers, Cubs and Scouts) has been given a jar for them to fill up with pennies and tuppences during the winter term. The winning Section will be the one that has collected the most. You can sabotage other sections! The value of any notes or other coins will be deducted from the total. Jars for all three Sections will be on display at the start and end of each meeting for you to add pennies and tuppences to your Section’s jar and other coins or notes to sabotage other Sections. We will be collecting jumble and bric a brac after the Brewery Tour, so please do not bring it before then because we have no where to store it. We would like you to collect clean clothing which we can sell, so no ripped or soiled items. The bric a brac can be toys, books, china etc again can these items be clean and complete we cannot except any electrical items. These items will be sold at the sale in the Scout Hut and we will also have a tea tent so donations of homemade cakes would also be appreciated. Volunteers will be needed to also sort, sell, make tea and clear up on the day. April – Dolomites Band Night (5th April 7:30 – 10:30pm) – SOLD OUT! Local band the Dolomites have offered to play for the Group. This will a fun fuelled night where you can dance the night away to classic 50’s and 60’s rock ’n’ roll. You will know all the songs and your feet will just keep on tapping. More details to come, put the date in your diary! We would like to do a sponsored event, which is suitable for the whole Group to participate in. We would like it to be sporting in nature and a challenge. If you are interested in taking part or have any ideas for the challenge, please speak to your Leader. Barn dance with ploughman’s supper, this a family event will have lots of dancing while local musicians play. Whole group event with volunteers needed to man the burger stall, shake buckets, litter pick, build the bonfire etc. Whole Group event including parents, singing carols and Christmas songs outside a local supermarket. 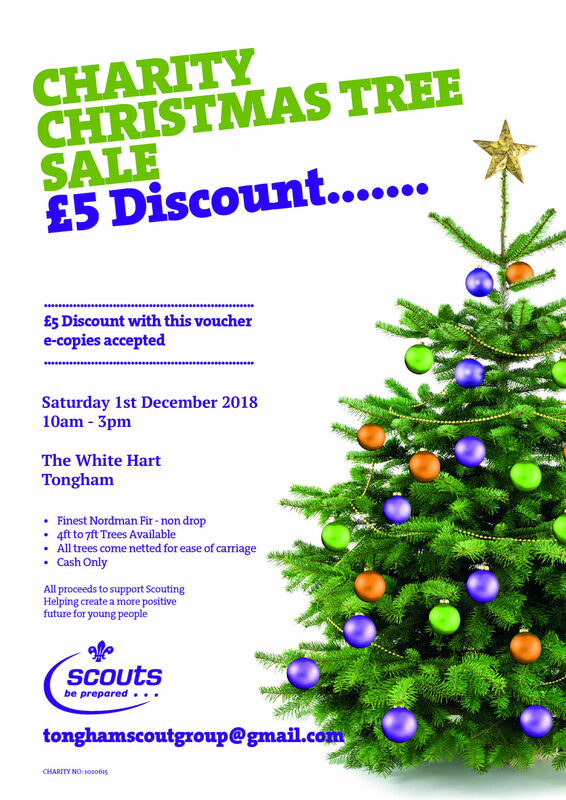 The Tongham Scout Group will be at The White Hart on the 1st December between 10am and 3pm. We are selling the finest Nordman Fir trees that are non-drop so no mess to clean up afterwards. Trees will be available between 4ft and 7ft. If you show this voucher you will be entitled to £5 discount. Don’t worry about printing the voucher, just save the image or this page and show it to us when you are buying the tree and we will give you the discount. 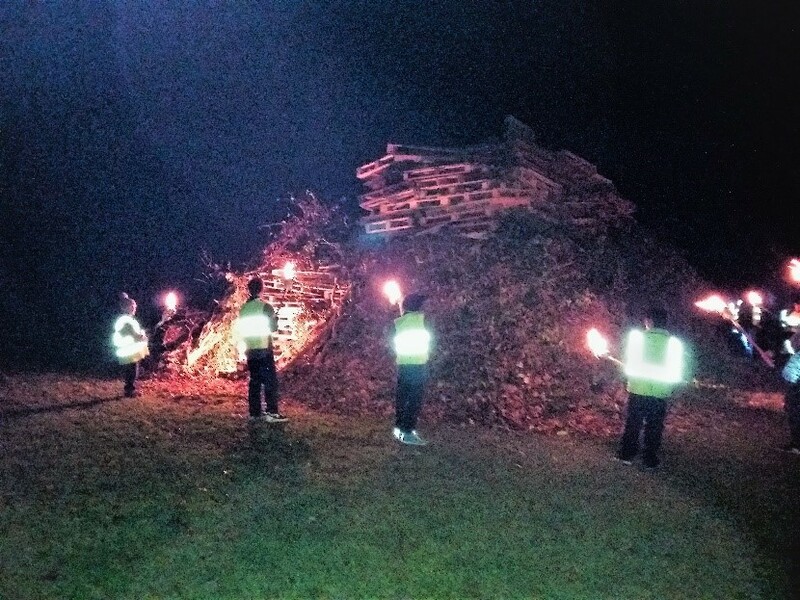 After a couple of wet days Saturday morning started cold but dry, and with a good number of volunteers from the Group & the Village the bonfire was built in record time and to great heights! The evening got off to a spectacular start with the Scouts leading the torch lit procession from the White Hart to the rec and lighting the bonfire, followed by a dazzling display of fireworks. The Scout Burger stall was excellent as usual & busy all night. 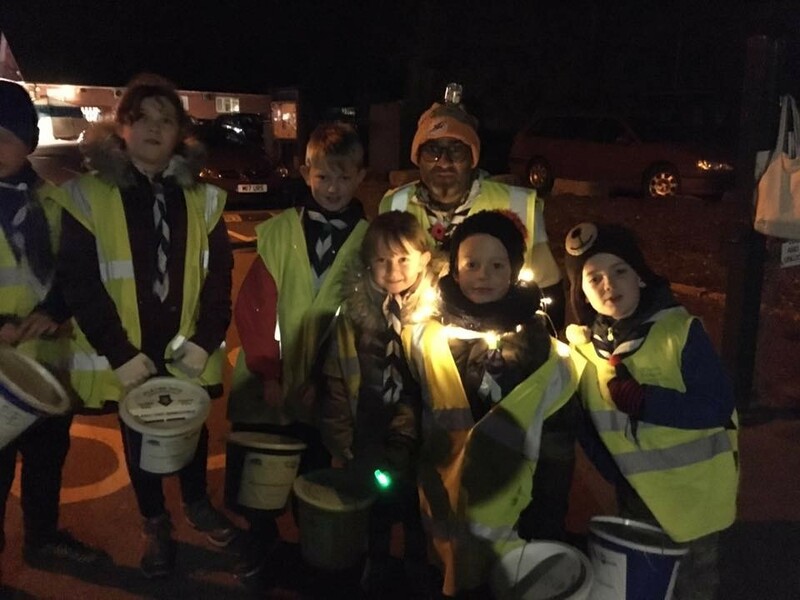 Thank you to all the Beavers, Cubs, Scouts and Leaders who collected donations at the gate. 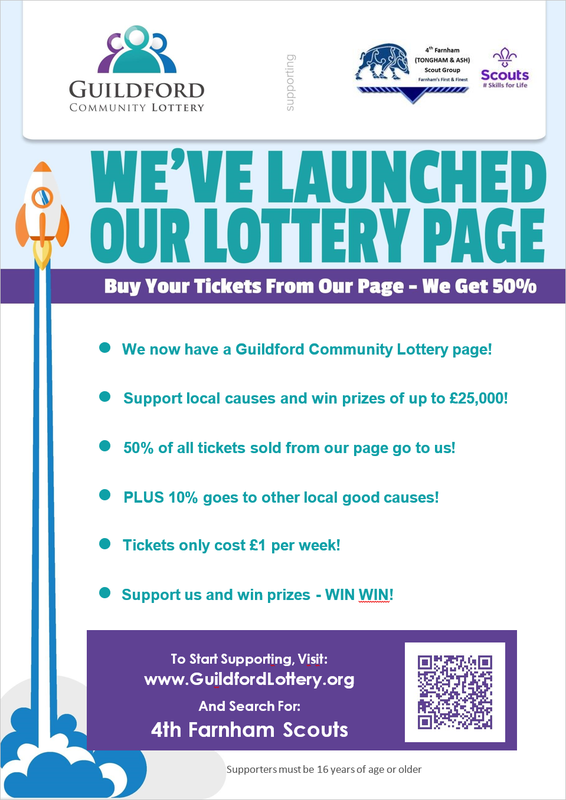 Direct link to our Community Lottery page. Help our Scout Group raise funds for our New Scout HQ – select us as your Co-op local Community Charity. Every time Co-op members shop at Co-op, 1% of what they spend on selected own-branded products and services goes to help fund community projects where they live. Co-op also give all money raised from shopping bag sales to these causes. If you are already a Co-op member, log in and choose to help Tongham & Ash Scout Group (4th Farnham). If you are not yet a member, you can sign up easily, it only costs £1 for membership and has other benefits to you. Once you have signed up, you can select to support us. You can find out more about the Co-op membership, its benefits and sign in or sign up here. For more information about the New Scout HQ, please see the dedicated page here. The page also has details on other ways that you can help raise money.